The Blue Screen of Death error can shut down your PC without warning. When a BSOD appears, you are more likely to lose all unsaved work. 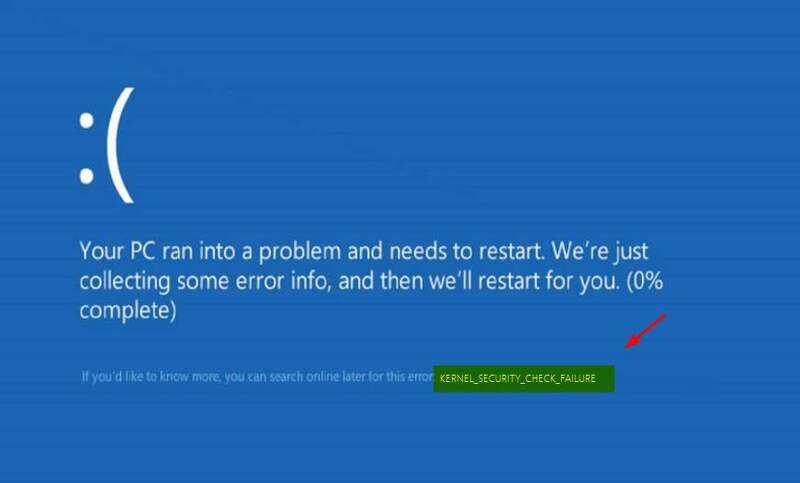 Many users have complained of Kernel security check failure BSOD error. If you are looking for solution to this BSOD error, this post is for you. Here we have provided four solutions that could fix the issue. Since there can be several reasons behind this BSOD, it is difficult to tell which solution will work for you. You can start with the first solution and if it does not work for you, move to next solution and so on. Try to recall when Kernel security check failure BSOD error started appearing. Did you install any hardware or software recently? Did you make any changes to Windows settings? If you did, undo any recent changes and see if the issue is resolved. A large number of BSOD are related to drivers and the Kernel security failure in your case may well be occurring because of some driver-related issue. According to some experts, Kernel security check failure is related to display adapter driver. A simple solution to this problem is updating display drivers. There are two methods to update display drivers – Manual and Automatic. Here we have provided both ways to update drivers. Go to Display adapter manufacturer website and type the name of the display adapter in search box. You will see the list of downloads available for display adapter. You need to be careful when downloading display adapter drivers. For example, if your computer has Windows 32-bit OS installed, you need to download and install 32-bit display adapter drivers. 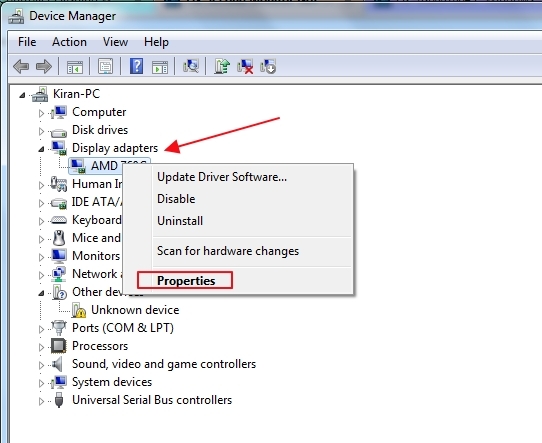 Similarly, if you have 64-bit OS, you need to download 62-bit display adapter drivers. Make sure you download the latest display adapter driver version. For example, if you have display driver version 21.21.13.4201 installed, you need look for higher version of the driver. Run your computer and see if the Kernel security check failure BSOD appears on the screen. If the issue remains unresolved, move to next solution. If you feel the method of manually updating drivers is cumbersome, you can consider updating drivers automatically through DriverDownloader. 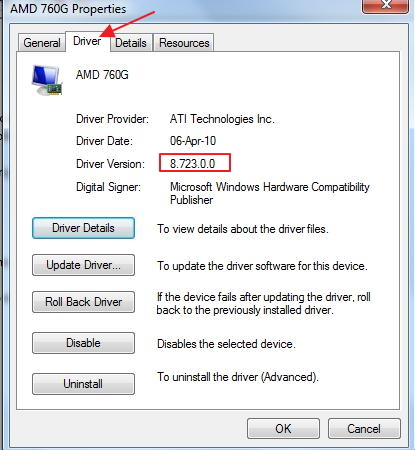 A much easier way to update drivers is by using a reliable driver update tool. We recommend you use DriverDownloader. It can update all your drivers in a jiffy. All you’ve to do is download, install, and register the software. You can download and install DriverDownloader for free. In fact you can even run the software without paying and get a free driver report. However, to get automatic driver updates, you’ll need to register the software. With the software coming with 30-day money-back guarantee, you can try it out without any issue. Say goodbye to this BSOD error and other performance-related issues by downloading DriverDownloader. To do that, simply click the green button below. There is a possibility some memory fault is the cause behind the Kernel security check failure. You need to check the memory slots and also check the RAM modules for any problem. The troubleshooting steps in this solution are divided into two sections. Here are the steps to follow. Make sure the RAM module is placed firmly in the socket and it is functioning correctly. To ensure there is no problem with memory slot, insert the RAM module in a different memory slot on the motherboard. 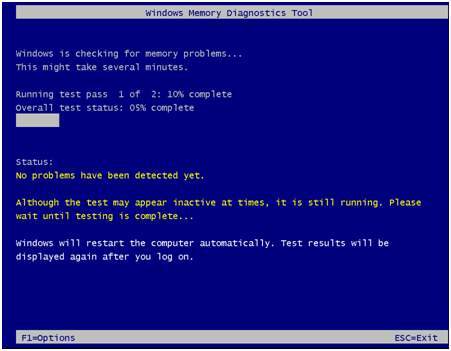 Windows has an in-built memory diagnostic tool that scans RAM for any faults and reports any error it finds. You will see two options- 1) Restart now and check for problems (recommended) and 2) Check for problems the next time I start my computer. 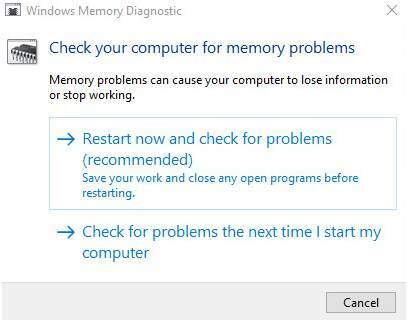 If you select the second option, the Windows Memory Diagnostic tool would run when the computer reboots next time. If Memtest comes across any faults, it will report an error. If Memtest completes without reporting any error, you can draw a conclusion the RAM modules are in good condition. Start the PC and see if the issue is resolved. If the issue remains unresolved, try next solution. With time hard drive sectors can go bad and this in turn results in corruption of NTFS volume and file system. When that happens, Windows can’t access files it need to run the operating system normally. Windows has a disk check and repair tool known as Chkdsk. It checks the file system and file system metadata of a volume for logical and physical errors. 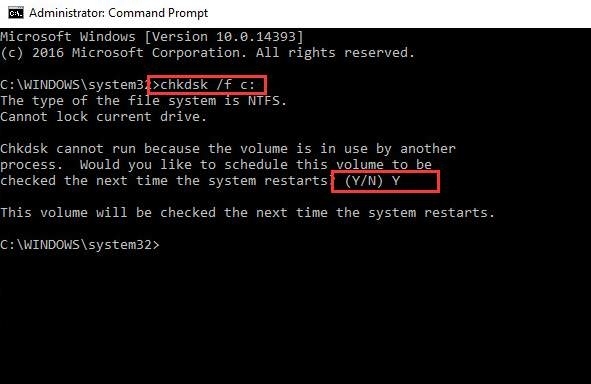 Chkdsk is a command-line tool and you need to run the command from a command prompt window (with admin rights). In the command prompt window, type chkdsk /f /r. Note – you need to be patient and wait until process is completed. Chkdsk can take a longer time to complete and it depends on the capacity of the hard drive. Boot into Windows and see if you encounter “Kernel Security Check Failure” BSOD error again. In most cases, the “Kernel Security Check Failure” BSOD error would get resolved by one of the solutions given in this post.